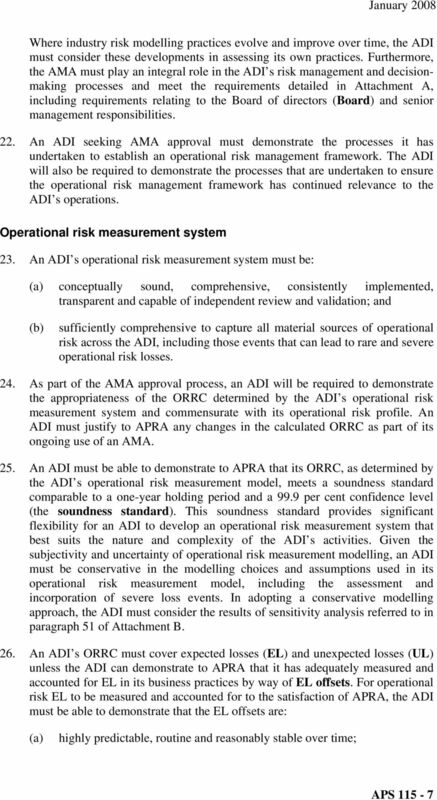 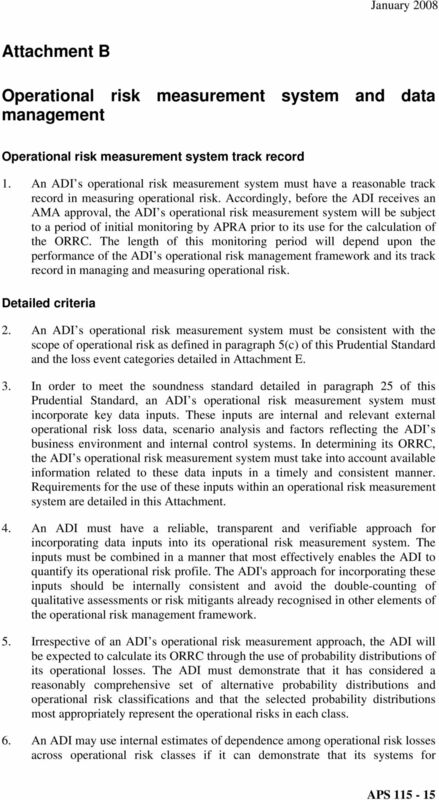 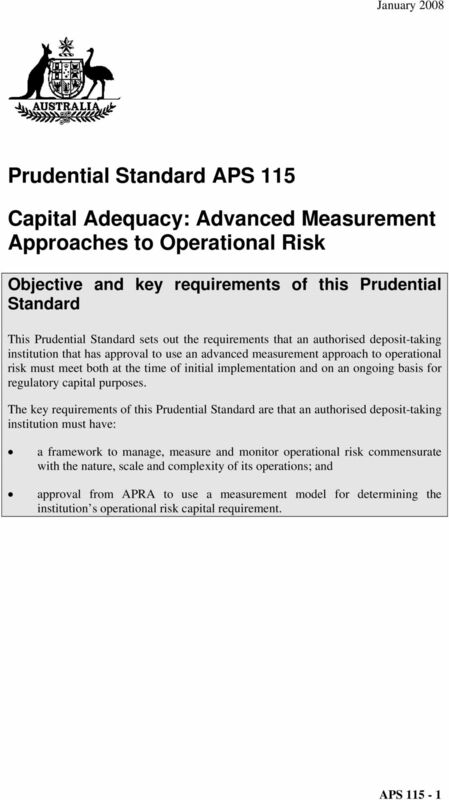 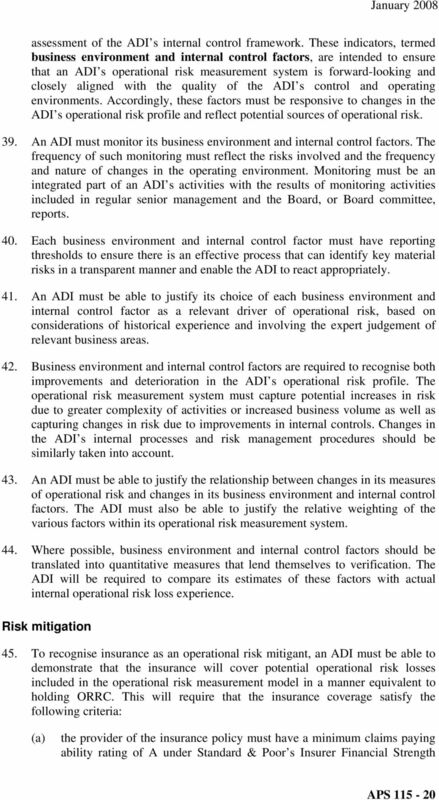 Download "Capital Adequacy: Advanced Measurement Approaches to Operational Risk"
1. 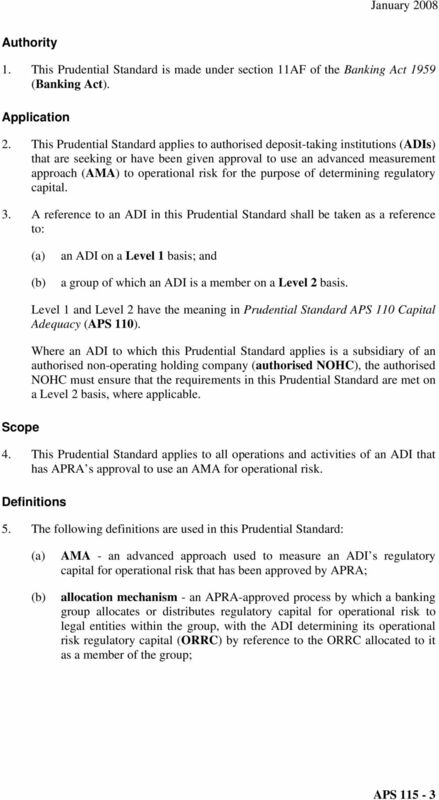 This Prudential Standard is made under paragraph 230A(1)(a) of the Life Insurance Act 1995 (the Act). 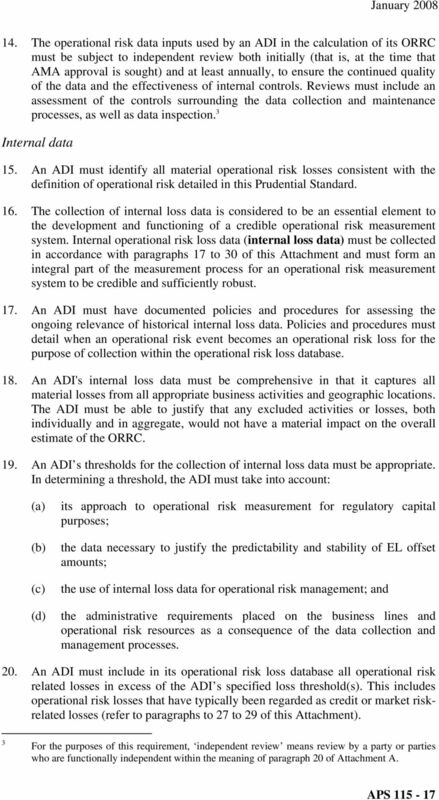 Measurement of Banks Exposure to Interest Rate Risk and Principles for the Management of Interest Rate Risk respectively. 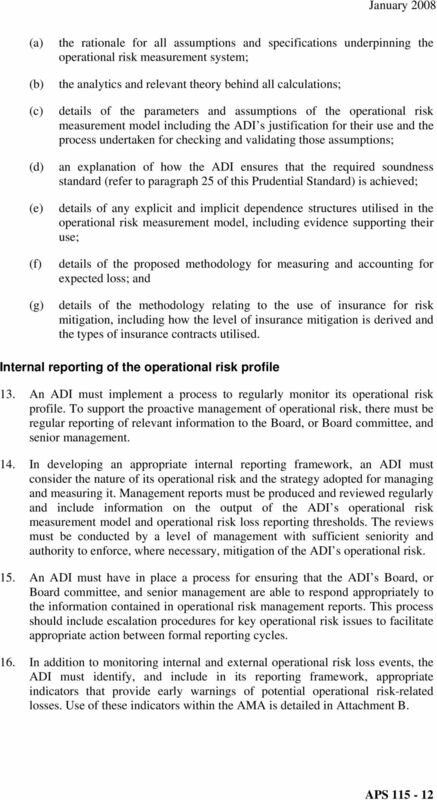 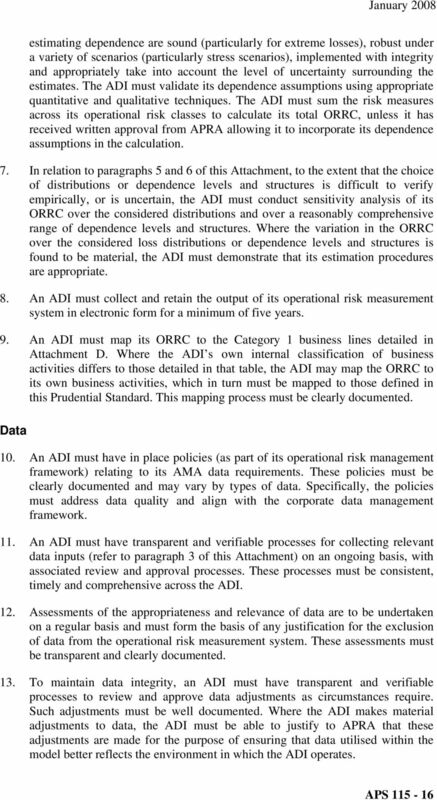 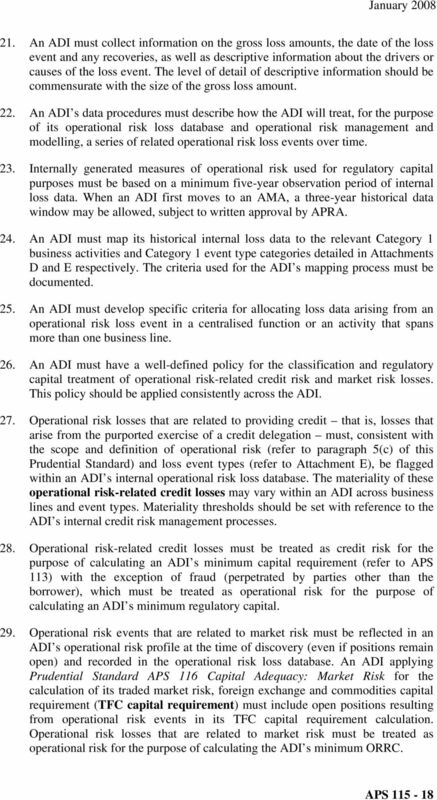 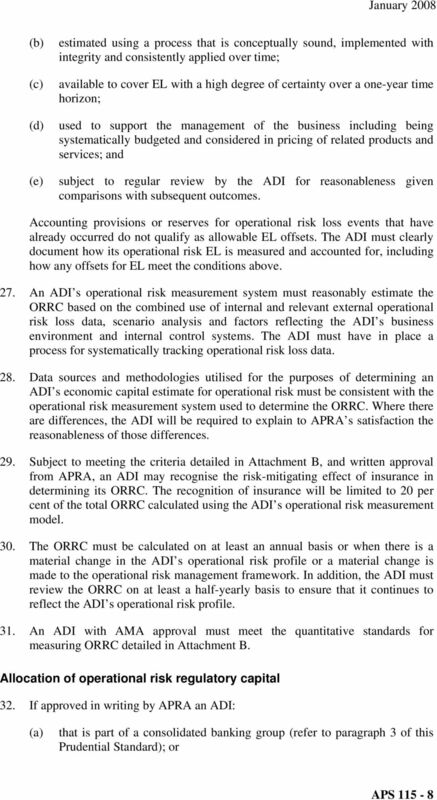 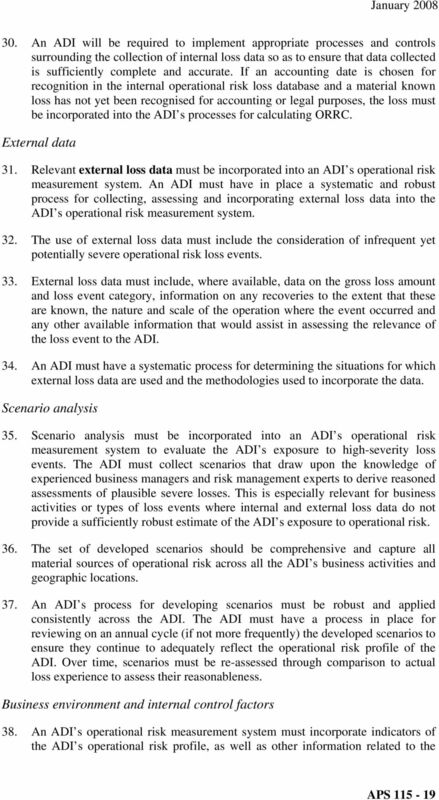 CEIOPS-DOC-48/09 CEIOPS Advice for Level 2 Implementing Measures on Solvency II: Articles 120 to 126 Tests and Standards for Internal Model Approval (former Consultation Paper 56) October 2009 CEIOPS e.v. 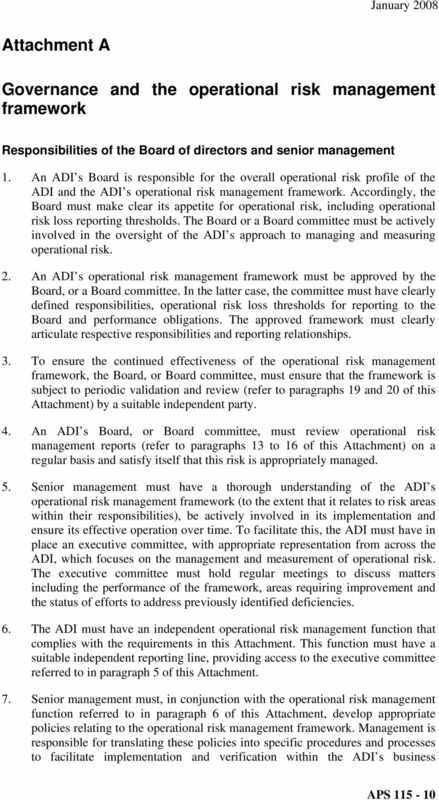 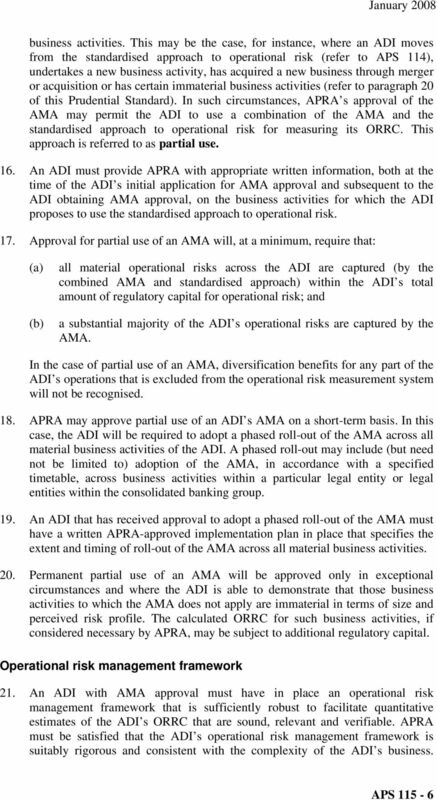 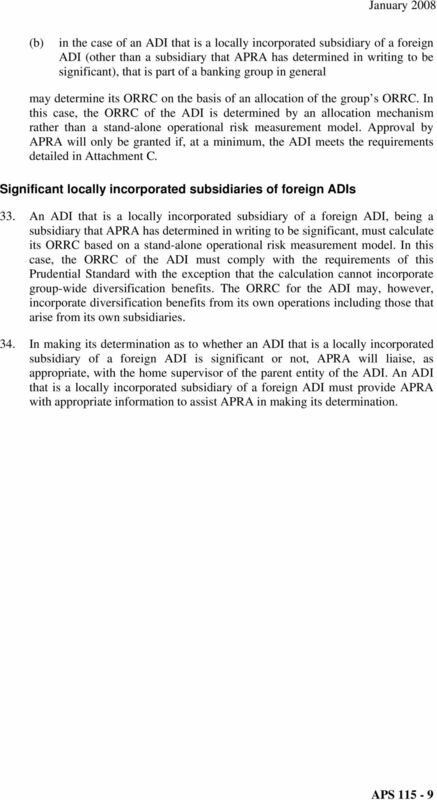 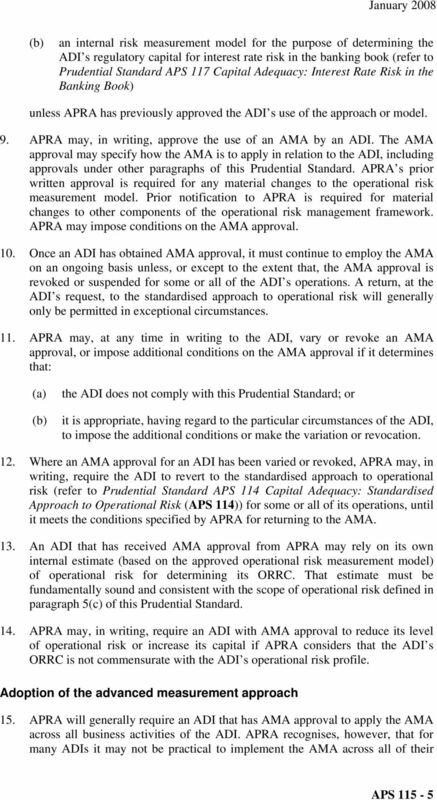 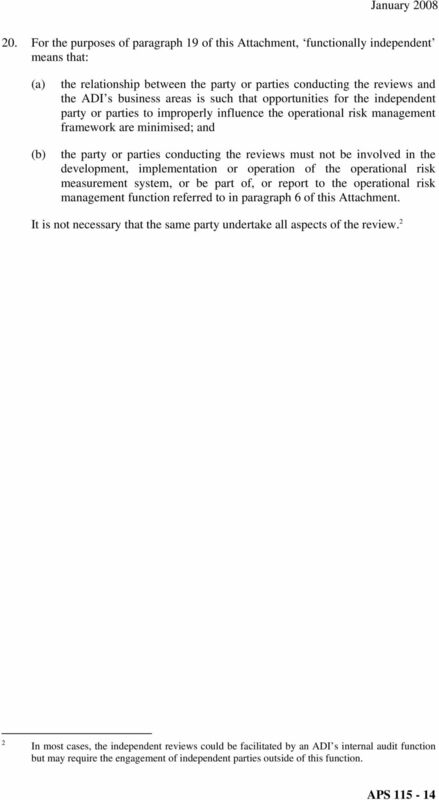 DRAFT September 2007. specified in the ADI s IRB approval, application of the FIRB approach to one or more of its SL sub-asset classes.